Majority of miners are interested in mining bitcoins from home. But nowadays, it became harder for home-based miners to earn profit from Bitcoin currency trading. There are tons of factors needs to be considered in order to join the mining environment. You really need to think over again before investing your efforts in the bitcoin mining process. Here, I've listed several factors like hash rate execution of mining hardware, what are current difficulties in Bitcoin cryptocurrency trading as well as electrical costs associated with mining device itself and many more. If you didn't know about Bitcoins and minings then, I must say check this out before going any further; What is Bitcoin? How Does Bitcoin Work? Everything You Need to Know. 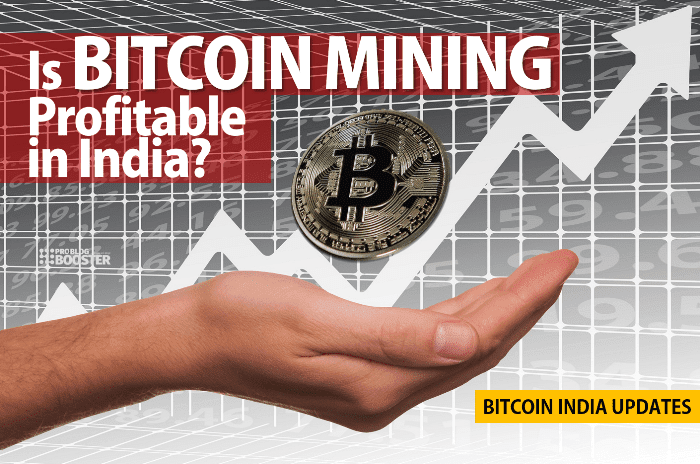 Is bitcoin mining still profitable in India? Considering the huge popularity of Bitcoin, people are now thinking to do bitcoin mining and earn extra profit. Lots of people are getting involved in make money Bitcoin trading. They want to do bitcoin mining from home. This is not easy though. For home-based miners, the things have become very tough. Therefore it is important to see, does bitcoin mining really worth or not especially in India. There are certain things that everyone should consider before going for bitcoin mining. Now we'll see these major difficulties in detail. Each and every point is explained in detailed so as to understand more on major hurdles which might face in the mining process. 1. Bitcoin mining difficulty explained. This means the difficulty comes while solving an algorithm at the time of creating a new block of the transaction. The difficulty increases with the number of miners joining the network increases. That makes Bitcoin mining harder and the amount of bitcoin you receive goes down. Bitcoin networks set up the difficulty of the mathematical problem and your mining rig has to solve this to earn bitcoins in reward. As of now, 5,646,403,851,534 (on 4 December 2018) is the current mining difficulty at the time of writing this page and it changes after every 2016 blocks. You may also like to read; Is Bitcoin Trading Legal in India? Check out Why it is?. A speed at which a mining rig solves a problem which required to mine new blocks is called as Hash Rate. New miners are continuously making their way into the market with a very well designed new GPU's which are able to give more Hash Rates. But it looks not easy to buy a mining rig having a faster speed. The reason being the new mining rigs cost more and even more, they consume more electricity as well. For a better, it can be balanced by having a low-cost mining rig with higher Hash Rate. The selection of the miner depends upon how long you want to mine. It is pretty much productive to buy a low-cost miner if you want to mine bitcoin for a short period of time. As it is possible to get paid off the initial buying cost at a faster rate even with a lower Hash rate. Are you interested in Buying BITCOINS? 8 Things You Must Know Before Purchasing Bitcoins. A pre-prepared mining device can cost something above $500 depending upon the condition & performance. A new device can cost above $2000. To overcome the investment, you need to mine enough bitcoins. You can make money Bitcoin trading & a profit only after you cross the investment cost. Apart from this, you need to buy racks for placing more machines, connectors to connect miners together etc. Go through this guide if you are interested to learn How to make money Bitcoin trading?. It is impossible to run a mining rig without an electricity. To calculate the exact amount of profit you also have to calculate the cost of an electricity. In India, the cost of electricity is different for different regions. The minimum cost of electricity is 6 INR per kWh which varies with a region. The mining can get damaged with a temperature above 40-degrees Celcius. So an air cooling system is required in summers which would consume more electricity. Now its time to calculate the profit now as we know the factors. Antminer S9 is the best bitcoin miner in the market for now, with 14 terahashes (TH/s) of Hash Rate. The miner costs $1700 and consumes a power of 1370W. A 1600W power supply (suggested APW3+) is required to take this Antminer S9 in operation which costs around $105. You can purchase both of these through bitmain(.)com. According to this, the cost for hardware comes around $1800 excepting the racks and connector cost. In addition to this, you need to pay the customs duty charges also for importing bitcoin mining hardware and that makes it $2300. With today's rate, this cost will be around 0.58 bitcoin (1 BTC = $3965.01). As said above, 5,646,403,851,534 (on 4 December 2018) with this current mining difficulty, if you have 14TH/s, you will have the ability to mine 0.018705 bitcoins per month. Keeping the same difficulty level and considering the electricity to be free, it will take almost 31 months to fulfill the hardware cost alone. Now, let's have a look at the electricity cost. Let's consider the lowest electricity rate that is 3.2/kWh. With the power consumption of 1370W, the usage for one month will be 1000 kWh and it will cost 3200 that is 0.0114 bitcoin. Mining difficulty raises with the number of miners adding to the network. The reason being the number of blocks that have to be solved in a certain amount of time is constant. The average increment in the difficulty is around 5% per 14 days. This bitcoin mining game is not piece of a cake. It might take years to get an ROI by considering current difficulties. On top of that, not only the machines like bitcoin mining calculator but also bitcoin mining software being used are also be maintained on regular basis. Also, individual mining process is not value for money. People always tend to form a group so as to increase the chances of getting the Bitcoin reward. There are people who are joined for fun and contributes for the sake of being a techie, so expecting valuable contribution from such people is not worthy. Hence, Bitcoin mining is no longer profitable. It is quite harder to mine even 1 bitcoin these days. If you do have lots of super powerful machines and very cheap electricity, you could go with the mining process by keeping in mind the above-listed mining difficulties. Like most people are saying the Bitcoin is the future of currency but you need to understand its value against the cost involved in its mining process. Feel free to use below comment section to get in touch with me anytime. Happy to hear from you and to understand more for helping others.